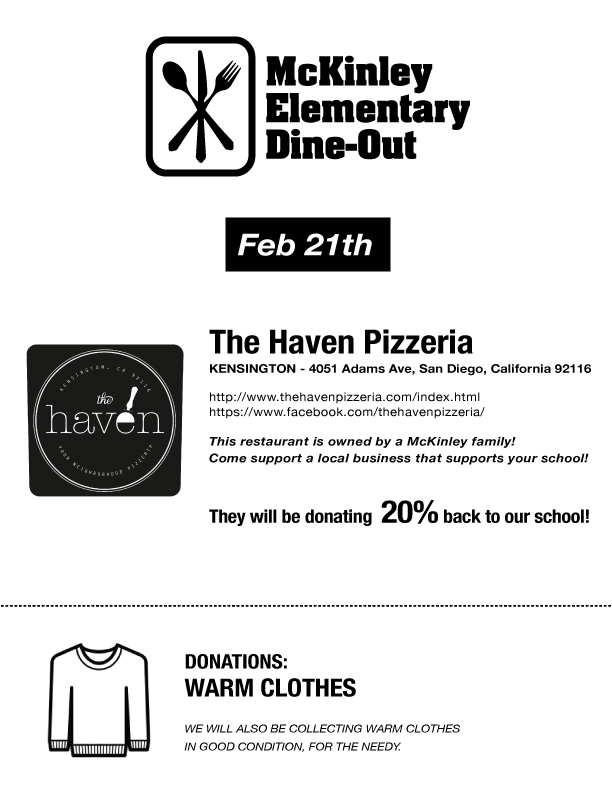 This month’s McKinley Dineout will be February 21, 2019, at The Haven Pizzeria in Kensington! The Haven is located at 4051 Adams Ave., San Diego, CA 92116. Get your Dineout Flyer here! Come support a local business that supports your school! This restaurant is owned by a McKinley family! They will be donating 20% back to McKinley! We will also be collecting warm clothes, so please consider donating any gently used items for this month’s community donation.